NORTH BERGEN, NJ – A team of assessors from the New Jersey State Association of Chiefs of Police (NJSACOP) will arrive on August 28 2016, to examine all aspects of the North Bergen Police Department’s policies and procedures, management, operations, and support services Chief Robert J. Dowd announced today. 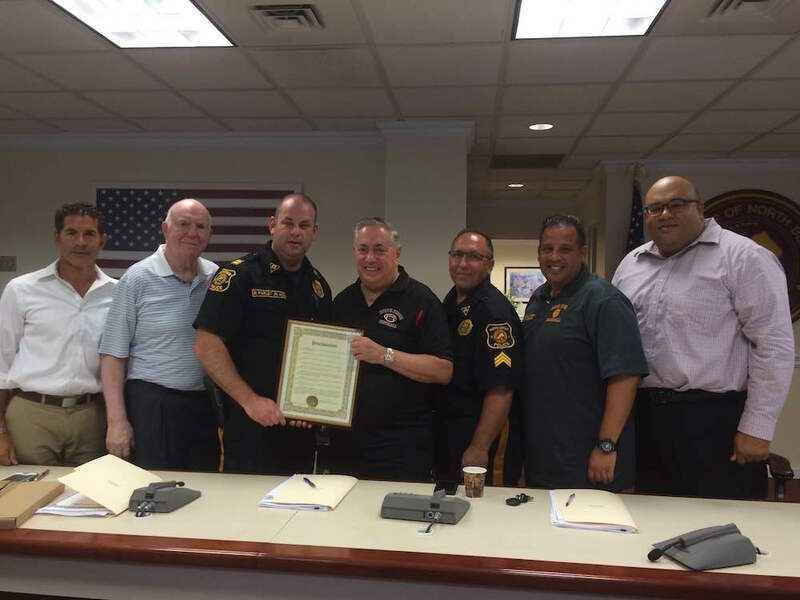 “Verification by the team that the North Bergen Police Department meets the Commission’s “best practice” standards is part of a voluntary process to achieve accreditation, a highly prized recognition of law enforcement professional excellence”, Chief Dowd said. As part of this final on-site assessment, employees and members of the general public are invited to provide comments to the assessment team. They may do so by telephone or email. The public may call (201) 422-7560 on August 29th, between the hours of 9:00 A.M-11:00 A.M. Email comments can be sent to command@northbergenpd.com. Telephone comments are limited to 5 minutes and must address the agency’s ability to comply with the NJSACOP standards. A copy of the standards is available for inspection at the North Bergen Police Department, 4233 Kennedy Blvd., North Bergen, NJ. Please contact the Chief’s Office at 201-392-2134. Anyone wishing to offer written comments about the North Bergen Police Department’s ability to comply with the standards for accreditation is requested to email the Accreditation Program manager at hdelgado@njsacop.org or write the New Jersey State Association of Chiefs of Police, Law Enforcement Accreditation Commission at 751 Route 73 North, Suite 12 Marlton, N.J. 08053.